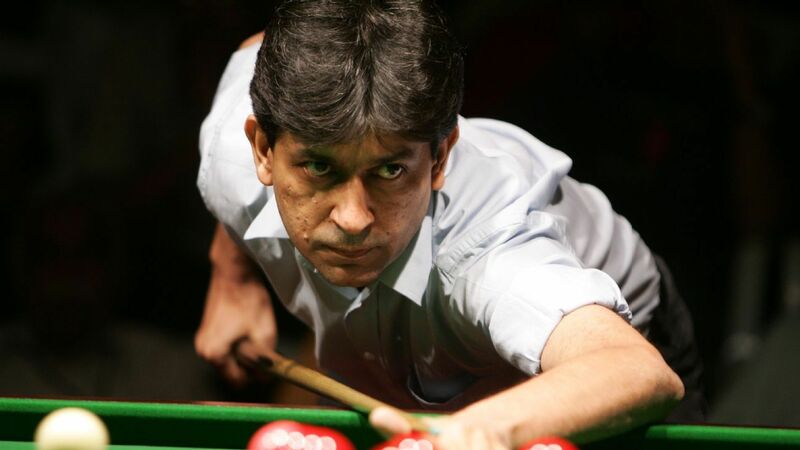 One of the most accomplished names in Indian cue sport, Geet Sethi is back at the tables, his four-year absence from billiards not denting his spirit one bit. Former India cricket captain MS Dhoni and multiple world champion cueist Pankaj Advani have been conferred with the country's third-highest civilian award, Padma Bhushan. Ace Indian cueist Pankaj Advani secured his 18th World Championship title with an 8-2 win over Iran's Amir Sarkhosh in the IBSF World Snooker Championship final in Doha on Monday. Seventeen world titles and counting, Advani is India's top contemporary sportsman. Here's the story of how he got there, and why he's been under the radar. Screams, boos and whistles. Music, drama and bright costumes. Welcome to Cue Slam, the latest in a train of sporting leagues to hit the prime time television slot. Pankaj Advani lost 3-6 to China's Lv Haotian in the summit clash at the Asian Snooker Championship in Doha on Friday. Vidya Pillai, who recently won a bronze at the Asian Ladies Snooker Championship and a silver at the World Women's Snooker Championship, talks to ESPN about her journey in the 'rich man's sport'. Sport is stuck in a time warp of tradition and is suffering from a lack of spectator appeal and sponsorship. Pankaj Advani added to his trophy cabinet by beating defending champion Peter Gilchrist 6-3 in the final of the World Billiards Championship (points format) in Bengaluru on Monday. Ronnie O'Sullivan says he no longer feels "trapped in a prison" after deciding that snooker is now a hobby after "conversations with God". Ronnie O'Sullivan came through a rare showdown with Jimmy White to book his place in the third round of the Northern Ireland Open. Pankaj Advani became the first Indian to win a medal at the Snooker World Championship. Aditya Mehta and Pankaj Advani blanked UAE 3-0 in the quarter-final in Abu Dhabi. Pocketing his 13th World title, Pankaj Advani feels that an IPL-like league in snooker or billiards would be a possibility in the game that has become financially rewarding. Advani beat Khaled Alastal 5-0, Mehta beat Saudi Arabia's Ahmed Asseri 5-3 to remain on course for the knock-out stage. Barry Hawkins hailed one of the best wins of his career after holding his nerve to edge Ronnie O'Sullivan in a final frame thriller and reach the World Championship quarter-finals.